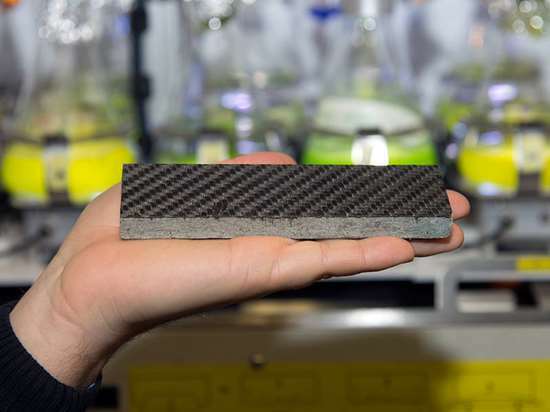 Researchers at the Technical University of Munich (TUM, Munich, Germany) have been developing a process that uses algae to remove CO2 from the atmosphere and subsequently to make carbon fiber. According to TUM, algae is used to convert CO2 from the atmosphere, power plants or steel processing exhaust into algae oil. In a subsequent step the algae oil is then used to produce polyacrylonitrile (PAN) fibers, which are then chared using parabolic solar reflectors in order to yield carbon fibers in a CO2-neutral manner. Professor Thomas Brück heads the project along with a team at the Algae Cultivation Center of the Technical University of Munich. According to Brück, large-scale plants are conceivable in Europe and North Africa. "The system is easily scalable to large areas," says Brück. "Plants which together would cover the size of Algeria would offset all CO2 emissions from air transport." According to TUM, the carbon fibers derived from algae are no different from conventional fibers and can be used in existing processes.